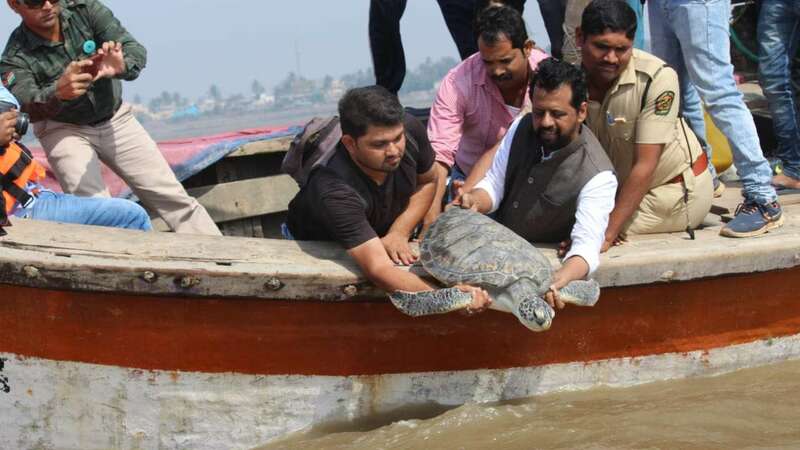 On Friday the lone sea turtle from Mumbai’s Taraporewala aquarium released back in the wild. There were three turtles, one Hawksbill turtle (Eretmochelys imbricata) and other two were Green turtle (Chelonia mydas). In June 2018 there was sudden death of Hawksbill and one of the Green turtle. Meanwhile, the turtle named as Tara a green sea turtle which is the only survivor was shifted for medical supervision. After that in July 2018 the statement came out for the recovery. The green sea turtle commonly known as the, black turtle or Pacific turtle is rated Endangered by the IUCN. The decision of letting go is bold and appreciable knowing the systems they have was not sufficient. In conclusion it is so important for us to preserve what is left of the few.